In the interest of reducing the security risks and vulnerabilities presented by executing or installing unsupported, legacy software, IT Services will be removing QuickTime 7 for Windows from all University owned Windows computers. Removal will begin on Monday, May 23, 2016. Additionally, the execution and re-installation of QuickTime 7 for Windows will be blocked. Questions and concerns about the end of support for QuickTime 7 for Windows should be directed to the Technology Support Center at (570) 941-4357 or the Information Security Office at (570) 941-6344. 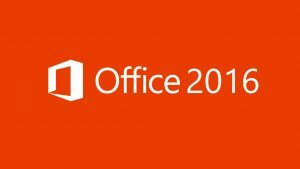 Microsoft Office Professional Plus 2016 and Microsoft Project Professional are now available for installation on University owned computers. 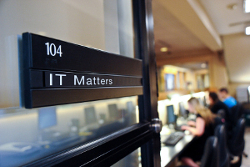 IT Services is offering Microsoft Office/Project 2016 to PC users as a self-service option through Microsoft’s System Center Configuration Manager (SCCM). Printable instructions for accessing the Software Center and installing Microsoft Office Professional Plus 2016 and Microsoft Project Professional 2016 are available. Please note that these packages are only available for installation on University owned, Windows 7 or higher computers and that they will replace previous installation of Microsoft Office and Microsoft Project (e.g., Microsoft Office Professional Plus 2013/Microsoft Project Professional 2013). If you use Word or Outlook customizations such as macros, autotext entries or styles, please be advised that these customizations will not load after upgrading to Microsoft Office 2016. This is caused by a file that has been renamed during the upgrade. Microsoft does offer a solution to this problem, however, this solution has not resolved this issue for all customers. The following resources for gaining familiarity with the current Microsoft Office products are available. Microsoft Office Professional Plus 2016 is also available for Macintosh computers. Mac users who wish to have Microsoft Office Professional Plus 2016 installed should contact the Technology Support Center at x4357 or techsupport@scranton.edu to request the installation.